Google has released one of the largest Android monthly security updates, fixing a total of 39 vulnerabilities — 15 rated critical, including four that can lead to a complete device compromise. The patches, which are included in new firmware images that were released Monday for the company's Nexus devices, will also be published to the Android Open Source Project over the next 24 hours. They include a fix for a vulnerability that Google warned about two weeks ago and which is already being exploited by a publicly available rooting application. Tracked as CVE-2015-1805, the privilege escalation flaw was originally fixed in the Linux kernel in April 2014, but it didn't become clear until February this year that it also affects Android. Android's media processing components continue to be a source of serious vulnerabilities. This month's update includes patches for nine critical remote code execution flaws in the Android media codec, mediaserver and Stagefright media library. In addition, one privilege escalation vulnerability and four information disclosure issues rated as high impact were also fixed in mediaserver. Other components where critical flaws were found and patched include the Android kernel, the Dynamic Host Configuration Protocol (DHCP) client, the Qualcomm Performance module and the Qualcomm RF module. High impact privilege escalation vulnerabilities that can give third-party applications more privileges than they should normally have were fixed in the IMemory Native Interface, the Telecom component, the download manager, the recovery procedure, Bluetooth, the Texas Instruments haptic driver, the video kernel driver, the Qualcomm power management component, system_server and mediaserver. Aside from the CVE-2015-1805 flaw being abused in a rooting app, there have been no other reports of customer exploitation of the other vulnerabilities fixed in this update, Google said in a security advisory. The Android Security Team actively monitors for vulnerability abuse through Android's Verify Apps and SafetyNet security features. For many vulnerabilities, exploitation is also made harder by the security enhancements made in the newer versions of Android. 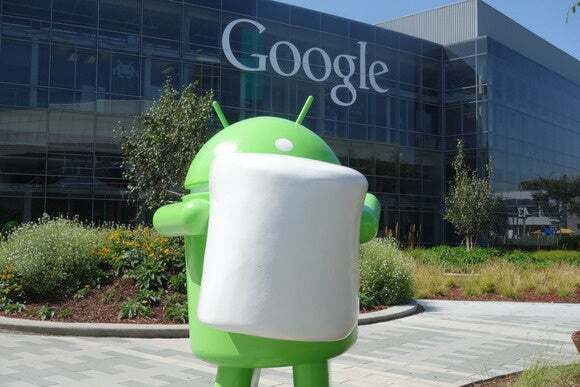 If an update to Android 6 is offered by a device manufacturer, users are advised to install it as soon as possible. Otherwise, Android builds with a patch level string of April 02 should be protected against all of the vulnerabilities fixed in this monthly update.